But for power users who listen to music all the time, there are still a lot of features absent. So we're looking at some great third-party Spotify and Apple Music add-on apps for Mac that you should try. SpotMenu is a handy Mac app that puts a mini-player in the menu bar. You can select its icon (which also shows the active track's name) to reveal quick playback actions for Spotify or iTunes such as play, pause, next, and others. Plus, SpotMenu even displays the album art and a tiny progress bar you can employ to instantly scrub through the song. The app lets you customize its interface per your preferences too. You can disable elements such as the track's title in the menu bar to make it a bit cleaner. Silicio is another mini-player you can install for easily controlling Spotify or Apple Music playback. But instead of dropping down from the menu bar, Silicio adds a floating window which features a minimalist design similar to SpotMenu. Apart from hosting playback options, Silicio lets you view the track's title, artist, and associated album art. In addition, there are a bunch of personalization settings to get into. Silicio allows you to alter the size of the floating window and trigger it through a range of custom shortcuts. You can also pin it in the notification center if, for some reason, Spotify or Apple Music's official widget won't work. On top of that, Silicio comes with Last.fm integration if you'd like to build a personal library based on the tracks you've played in the past. The media keys on a Mac keyboard are infamous for abrupt malfunctions. More often than not, you're forced to restart the music app or the computer entirely to regain usage of them. Fortunately, there's a better fix available now; it's called Mac Media Key Forwarder. Mac Media Key Forwarder is a simple app through which you can manually prioritize Spotify or Apple Music for the keyboard's media buttons. It lives in the menu bar so that you can switch between the two services without having to go through any settings. Spotify and Apple Music have both made a name for themselves with smart radio algorithms and human-curated playlists. But they're not always accurate and will sometimes play an album or artist you don't enjoy. With a clever Mac utility called Denied, you don't have to worry about that happening anymore. Denied comes with the ability to configure what it calls "rules" for Spotify and Apple Music playback. For instance, you can set one up for "Post Malone" and whenever your streaming app tries to play something by that artist, Denied will automatically skip it for you. Similarly, you can add multiple rules for albums and particular tracks. That's not all. Denied enables you to get around repeating songs you've listened to in the past few hours or those that have explicit lyrics. If you're an iTunes user, Denied also works with music you've disliked. With so many companies entering the music streaming space, there's an abundance of choices available. Settling on one, though, is a tough decision as you end up jumping among numerous apps. Muzie thinks it can make that situation a little more bearable. It does so by letting you use multiple music streaming services on a single platform. Muzie is a free Mac app where you can set up accounts for the majority of music platforms (except for Apple Music) and operate them all in one place. The app achieves this by essentially using a web wrapper. Moreover, you'll find a couple of additional convenient features such as quick muting options and a responsive layout. Have you ever headed to a search engine to read the lyrics of a song you recently heard? Well, with Musixmatch's Mac app, you no longer have to do that. The free app will automatically pull up the live lyrics of the track playing through Spotify or Apple Music. Musixmatch allows you to follow along by matching the music's pace. You can, of course, view the entire lyrics with a click of a button. Musixmatch's mini-player has playback options too, enabling you to quickly perform actions like skipping or seeking. Spotlight, the native universal search function of macOS, still doesn't have the ability to fetch results from inside third-party apps. That means if you'd like to look up tracks or playlists, you have to rely on the app's own search. But for people who would prefer a quicker shortcut to access their library, there's an option. It's called Alfred, which is one of the many third-party universal search apps for Mac. Think of Alfred as Spotlight on steroids. It retains the efficiency of macOS's built-in tool but comes with a vastly superior set of capabilities. The one that matters here is that you can build and install workflows for third-party services. Alfred has add-ons for both Apple Music and Spotify that enable instant searching of your library through the app's universal search. You can also execute commands like play and pause right from the search bar. While Alfred does offer a free version, you'll need pay for the premium Powerpack package to benefit from the workflow feature. 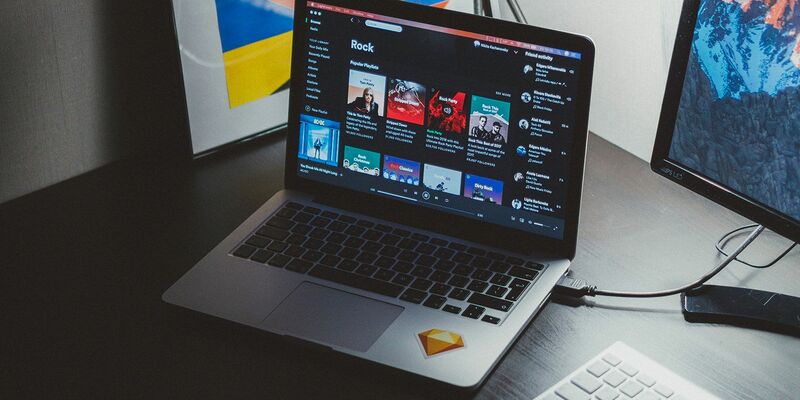 While Spotify and Apple Music's own Mac apps offer an ample number of features on their own, these third-party extensions will certainly let you overcome their handful of flaws. They make listening to music even better. When you're done checking out these apps, you may like to explore various Spotify app integrations that are worth setting up.